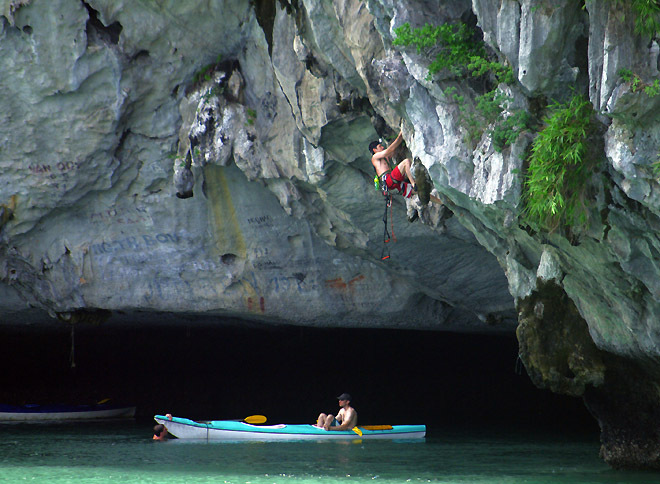 Some of the most popular things to do in Halong Bay are swimming, snorkeling and kayaking, trekking and cycling. It is truly a paradise for active visitors. Halong, the World Natural Heritage Site, was blessed with calm and clear sea water. 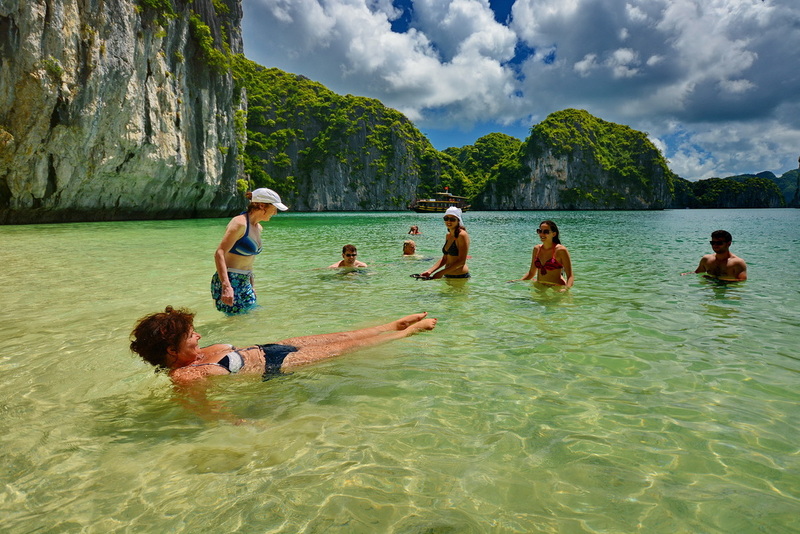 Therefore, there is no better way to experience wild nature of Halong Bay than swimming. Dipping in cool jade-green water of Halong Bay, tourists will feel free and relaxing. Halong was honored twice with the title "World Natural Heritage Site" by the UNESCO as its value of geology, geomorphology. Therefore, visitors once coming to Halong Bay shouldn&apos;t miss the chance to explore grotto system there.. Floating villages are unique feature about culture and seascape on Halong Bay that draw the attraction of visitors. Visiting floating villages, tourists will have time interacting with friendly fishermen and visiting floating pearl farms. Halong Bay Helicopter tour (also called air-taxi) is a new tourism service that has been provided since August 2008. 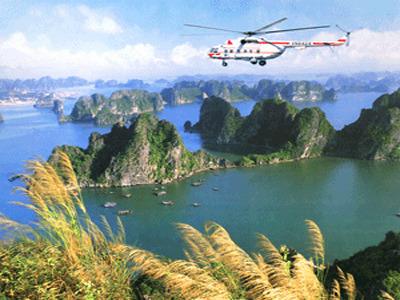 Taking part in a helicopter tour, tourists can visit famous sightseeing of Halong Bay in just 45 minutes.